The following is a very interesting article about Brexit negotiations. Years of negotiations with the EU lie ahead for Britain whichever of the options we choose. Only revoking article 50, an option dismissed by the prime minister, despite more than 5 million signatures on the petition to the government, would spare us. If the UK goes over the cliff edge on 12 April, British officials will be back in Brussels within days pleading for talks to limit the damage. Even surprise approval of the withdrawal agreement would raise the curtain on lengthy negotiations on future relations with the EU. The divorce settlement is a beginning not an end. Canada required nine years to negotiate and implement a straightforward free trade agreement with the EU. Switzerland, proudly independent, outside the EU and the European Economic Area, had to negotiate more than 100 bilateral agreements with the EU to ensure frictionless trade and other essential interactions. What takeaways from the last two years of exasperating talks might encourage both sides to navigate more safely through the murky waters of populist politics in the negotiations that lie ahead? The government at last seems ready to allow MPs to express their Brexit preferences in “indicative” votes. But a broad consultation on Brexit options should have been the first step in 2016. A “green paper” would have provided a recognised basis for such consultations. The government should have taken parliament and public opinion into its confidence, explaining frankly the complexity of the divorce settlement, the options for future relations and the obstacles to be overcome. Indicative votes in parliament could strengthen the hand of British negotiators in future talks. Over the past two years, the government consistently underestimated the EU’s unity behind the mandate given to its chief negotiator, Michel Barnier. It tried and failed to drive a wedge between the member states and the commission. British ministers misled themselves and the public into believing that the continentals would cave in because of their trade surplus with Britain (the alleged Italian prosecco and German car export lobbies), Britain’s geopolitical importance or its special status as a future ex-member state. Ministers, in a classic case of groupthink, either were not briefed or ignored briefings on three core features of the EU that condition its approach. The first is the EU’s self-image as a “peace project”, reinforced by its receipt of the 2012 Nobel peace prize for advancing the causes of peace, reconciliation, democracy and human rights in Europe. The EU’s peace narrative is so strong that the Irish government could count on unwavering EU support for its position on the backstop. Second, British ministers ignored the principle of solidarity among member states, which further bolstered Ireland’s position. EU members support each other when a vital national interest is at stake. This is largely based on the expectation of reciprocity if, one day, they too need such backing. Third, they overlooked the unequal nature of negotiations between the EU and a country seeking to join or leave it. The Brexit negotiations resembled, in reverse, the accession talks by which Britain itself became an EU member in 1973. British officials knew that a candidate or leaving state is required to accept the EU position as the basis for the talks. In the Brexit talks, it was 27 to one. But British ministers gave the impression that the UK had equal political weight to the EU in the negotiations. They minimised the difficulties and implied the talks would be a walkover. When reality dawned, they accused the EU of stubbornness, sharpening the suspicions of Brexiters. A win-win outcome is essential for negotiations to succeed. Both sides need to feel that the outcome serves their interests. To achieve this, compromise is required. But until now neither side has shown flexibility. Theresa May still sticks rigidly to her self-imposed red lines that preclude compromise solutions. To the last, she has been unwilling to consider alternative suggestions from the commission or the House of Commons. Even today she wants to ram her twice-rejected withdrawal agreement through parliament. The EU​ ​side contributed to the problematic result of the talks through its unbending two-stage approach, which required the divorce agreement to be largely accepted before any discussion of the future relationship could commence. This staging allowed the UK side to pretend that a hard border across Ireland could be avoided through the postponed future framework negotiations. This, in turn, discredited the EU’s insistence that a backstophad to be included in the withdrawal agreement. A more flexible approach in which the withdrawal arrangement and the outline of the future framework could be negotiated in parallel would either have enabled a solution to be found to the Irish issue or exposed the government’s position as unrealistic. Brexit is the result of ​Eurosceptic populism​ with British characteristics. It arises from economic discontent, social tensions and “identity politics” that feed on each other. Brexit now dominates British politics, undermining its unwritten constitution and distracting the EU from other urgent challenges. This worrying situation occurred mainly because British leaders continuously appeased Eurosceptic ultras, fanning extremism in a divided political and social environment. This was an abdication of true leadership and undercut the negotiations. Echoing several of his predecessors, David Cameron bashed the EU for seven years before the 2016 referendum. He presented every EU summit as a British victory over foreigners. Little wonder that voters doubted his sudden claim that continued membership was a vital national interest. British ministers in future should refrain from questioning the good faith of their EU interlocutors and from crying victory after every encounter in Brussels. 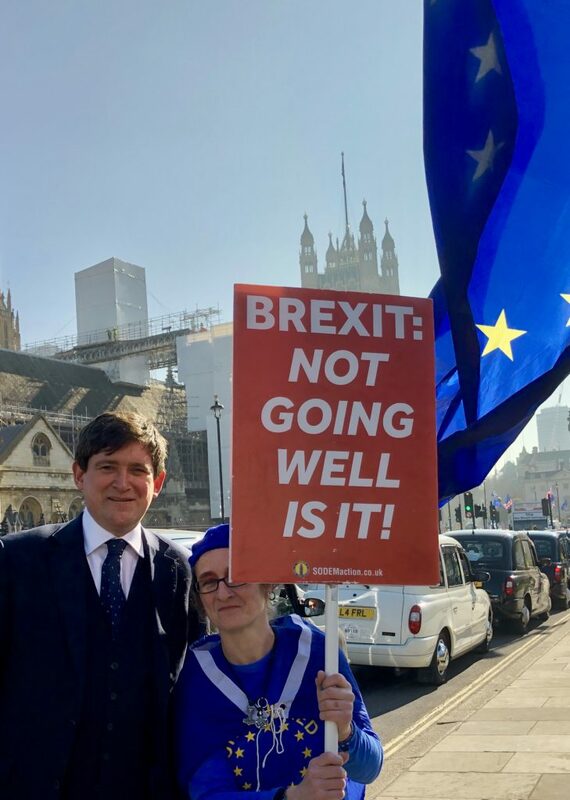 A second referendum may be back on the table as an option after Labour’s conversion, Saturday’s march and Wednesday’s indicative votes. It might yet provide a way forward if other possibilities are rejected. But, in general, the country should be wary of referendums that weaken parliament. Rumbling discontent rather than the ostensible referendum question usually determines the result. People like to say “no” to their rulers. Any of the options that parliament will consider this week, except revocation of article 50, will involve extensive further negotiations with the EU. From now on, British leaders should treat their European counterparts as negotiating partners and not as a foil for use in domestic politics. New teams will soon be in place on both sides of the Channel, and can make a fresh start. By taking parliament into its confidence and being frank with the British people, the next government should eventually be able to achieve a win-win outcome that benefits both the UK and our friends and allies in Europe.